Spain Wants in on the Drone Killing Game: Has Franco Been Forgotten? It was recently reported that the government of Spain will be acquiring four MQ-9 Reaper unmanned aerial vehicles (UAVs) along with one ground control station (GCS) from the US firm General Atomics Aeronautical Systems. The US company won out over the competitor, Israel Aerospace Industries, which was ready to furnish its Hero TP to the Spanish government as well. Maybe they’ll secure a contract from Spain later on down the line. Never say never: there’s always room for another shiny new implement of homicide in a political leader’s arsenal, particularly when one of its crowning virtues can be said to be to make it possible to spare soldiers’ lives. That Spanish soldiers would never have been deployed to the drone zones anyway is a nicety best brushed aside. The Reapers will eventually be weaponized, but for now the Spanish Air Force will simply play around with them, familiarize themselves with the advanced technology, and prepare for the day when they, too, will be able to dispatch human beings by remote control, just as the US and the UK governments have been doing for some time, and Italy is preparing to do as well. The Spanish Air Force may be thrilled about what will be their enhanced capacity to execute suspects without trial, but one can only wonder what Pablo Q Pueblo, the average citizen in Spain, thinks about this development. Perhaps the Spanish public would rather forget their twentieth-century history, but was not Spain ruled by a brutal dictator, Generalísimo Francisco Franco, from 1936 until his death in 1975? His longevity was assured by the US government’s support, rationalized by the tried and true maxim of US foreign policy, that “the enemy of our enemy is our friend.” That’s right: the only thing Franco hated more than republicanism was communism. To the dismay and peril of liberty-loving Spaniards, Franco became a dreaded “president for life” through brute force and the elimination, by hook or by crook, of an estimated 200,000-400,000 Spanish citizens. Let us be perfectly frank: weaponized drones would have been right up Franco’s alley: the capacity to vaporize political enemies with no due process and no provision for appeal. All those pesky dissidents could be perfunctorily written off as enemies of the state. I think that it is fair to say that congratulations are in order once again to US President Barack Obama for having ushered in a new era of secrecy and opacity along with the capacity to draw up hit lists through the use of advanced surveillance techniques (such as the mining of cellphone data) against any- and everyone one who might be potentially dangerous in the future. These Obama-era practices have gained wide acceptance among politicians and will surely lead to summary executions by governments the world over, including now Spain, both at home and abroad. Who needs republicanism when every government’s leader will soon be able to squelch dissent and eliminate “annoying” adversaries with the push of a button while watching the targets “splashed” on high-definition television screens? Of course, the technology alone was not enough to herald in the full-fledged, robust Drone Age. The practice of summary execution without trial needed also to be normalized by the leader of the greatest nation on the earth, which President Barack Obama in fact did. 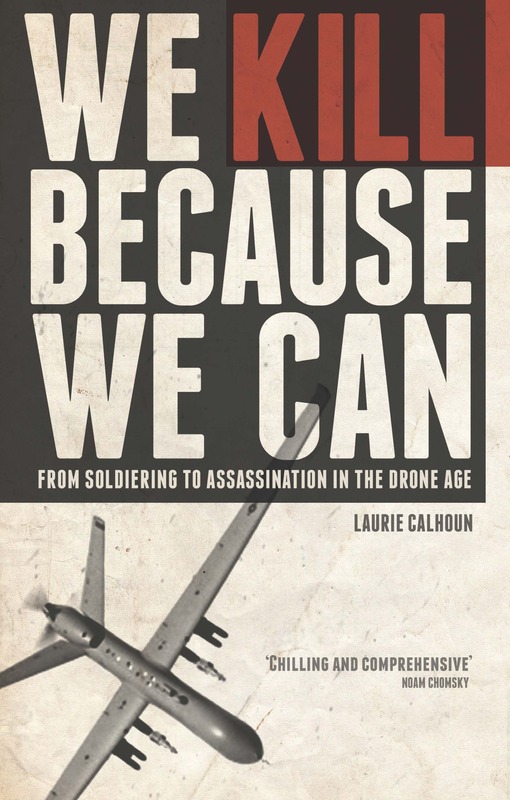 In a self-serving effort to convey an image of strength, remote-control killing became drone warrior Obama’s claim to fame and will be his lasting legacy, to the detriment of liberty-loving people the world over.